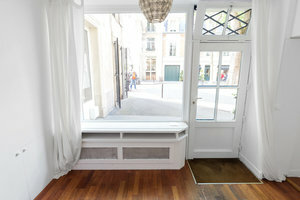 This white-box boutique is in the dynamic area of Saint-Germain-des-Prés. 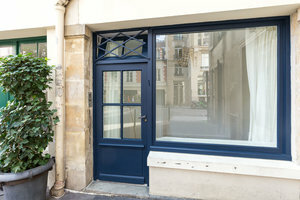 It is an ideal location for brands to host an Art Event or Pop-Up Store. This cozy space has a large window display, the space is filled with a bright natural light. 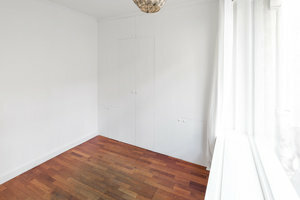 The interiors are utlitarian with parquet floors providing the space a tasteful layout and welcoming atmosphere. With facilities including window display and a security system, this space can accommodate a range of pop-up events. 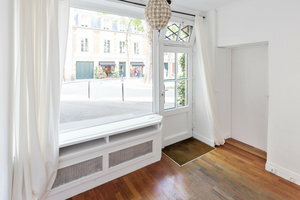 Surrounded by flagship stores and tourist attractions, this space is great for artists and emerging designers to gain exposure in a reputable setting.